Lenders prefer to accept buyers who have the funds to close on the property. 3. Will the Bank Approve a Short Sale If the Sellers Already Agreed on the Offer? 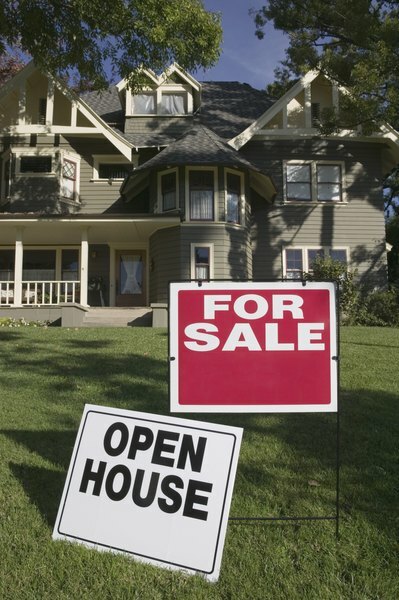 If you make an offer to purchase a short sale home, it must be approved by the seller and the seller’s lender. If the property owner accepts your offer and agrees to sell the property to you, it may take at least two months before the lender makes a decision to approve or reject the short sale purchase agreement. Although the lender has the final say about whether your offer will be accepted, preparation on your part can increase your chances of acceptance. Be sure you have the funds to close on the home before making an offer. The seller and the seller’s real estate agent will determine the value of the home and set a list price for the sale of the property. Secure enough money to cover the list price, even if you eventually purchase the home for a lower amount. Lenders are more willing to accept cash sales and buyers who have been preapproved for a mortgage. If you are considering financing the purchase price of the home, your preapproval letter will be submitted to the seller’s lender along with other documents to await approval of the short sale. If it's approved, the lender will set a closing date, and the lender’s decision will be based largely on your ability to come up with the funds at closing. Remove any contingencies that may interfere with your ability to close on the home. Lenders prefer to work with buyers who do not rely upon certain events to occur before deciding to purchase the home. For instance, if you are awaiting the sale of your current home before closing on the short sale home, your offer may be rejected by the lender. Be willing to accept additional terms required by the seller’s lender. Although you may have negotiated a sales price to purchase the home with the seller, the seller’s lender may require additional terms. Short sale properties are sold for less than the outstanding balance on the mortgage loan, but the seller’s lender may only accept the short sale agreement if you agree to purchase the home for a higher amount than what you negotiated with the seller. The lender may also require that additional terms to the short sale agreement be removed. If you are willing to accept flexible terms, the lender is more likely to accept your offer. Agree to accept the property “as is.” The seller’s lender is not required to guarantee the condition of the property. Short sale properties are typically sold “as is,” meaning you must accept any apparent and hidden defects in the property.